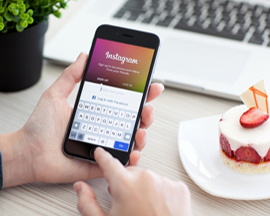 Instagram has revolved, having more than 300 million users, when compared to twitter. The clone app replicates the functionality of Instagram. You must have thought to take the application to the new heights. Mobile App Development India has a team of designers and coders creating beautiful, user-friendly interfaces for any challenge. We not only re-built the app, but also customize the clone app according to your requirements. The clone app allows you to click and publish photos instantly and also gives you the option to share it to social media pages. Moreover, the clones also offer the options of photo’s customization and editing which converts your pictures into the lively medium of communication.The best part is we can customize any clone app and also other well-accepted apps like Yelp, Groupon, LinkedIn and even real estate websites to name a few. We strive to create meaningful connections and your satisfaction is our motive. What is the timespan required to develop Instagram clone? Make a mobile community and start to brand your app with our developed photo and video sharing app and also capture photo, edit, apply filters. Will you provide the source files of the application? Sorry, not all. We do not provide all types of source files. Will I be able to customize the style of the app? Yes, you can indeed customize each detail of mobile application. Will I be able to submit the app into the store? Of Course yes, you can submit it yourself from your own account from the apple and android app marketplaces. All you have to do is to add your credentials to your app manager as our software offers you compatibility for the rest. Will you help me in marketing my app? We offer marketing your apps all way long from the cost per install to mobile app influencer outreach campaigns. Will be able to create UI and UX design? Our team of UI and UX designers have ample experience in the field of designing. Take a snap and filter your image. The user can apply different filters to change the look & feel of the photos and make photos betters than the actual one. You can add image filters on the posts and also can share to social networks. And also customize every minute detail of the mobile apps.